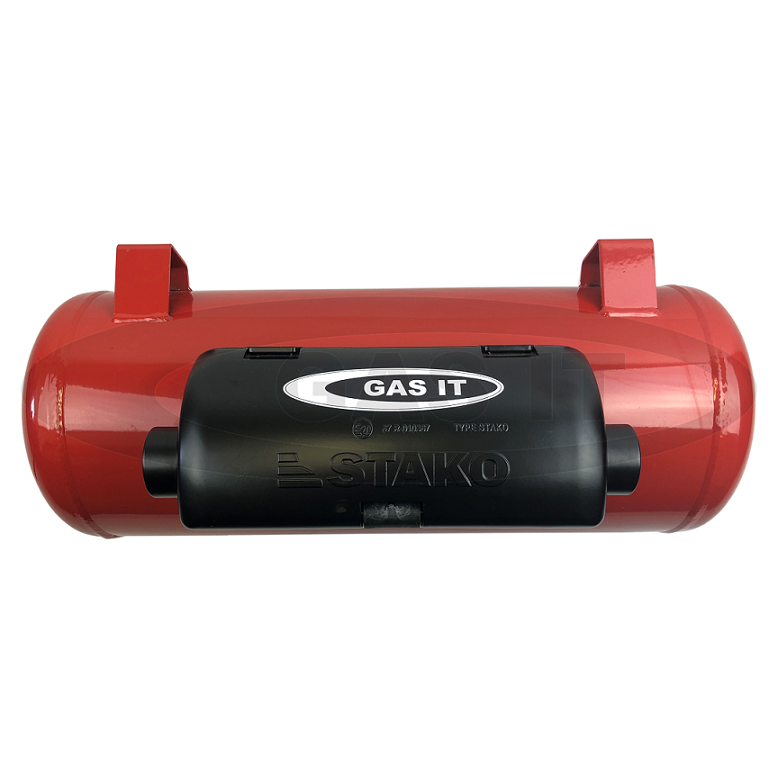 GAS IT EASYFIT self refillable underslung or internal gas tank for use in any Motorhome, Caravan, Campervan, Farrier, Catering and Road Repair lorries and vans. - GAS IT Leisure Gas Bottles, Gas Cylincers and Gas Tanks - Catering, Motorhome, Campervan, Caravan, Farrier and Road Repair Refillable Gas Solutions. All GAS IT EASYFIT© gas tanks come with our unique, quick and easy to install mounting feet and with a Electric Remote Outlet or Manual Tap Outlet Option ( Listed in separate categories selectable below ) . Our EASYFIT feet allows the fixing of the GAS IT tank to the vehicle to be carried out by one person with easy, yet with no loss of safety and quality. When mounting the GAS IT EASYFIT© gas tanks the feet make sure the gas tank is installed in the right orientation and at the right angle plus they fully comply with M1 / N1 legal mounting requirements. They come fully fitted with the gas valves and aluminium airbox before shipment to any customer, at no extra cost. Plus, all our GAS IT tanks also come certified with relevant certificate(s). All GAS IT vapour tanks and all our mounting systems comply with or exceed all current UK and EU regulations and NCC C.o.P 306 needs.